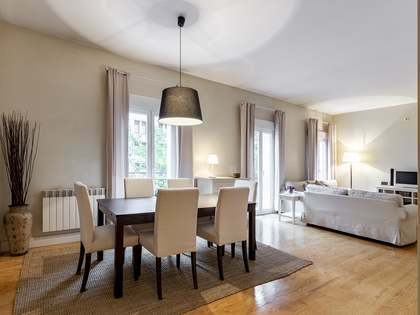 Charming, fully renovated apartment of 113 m². 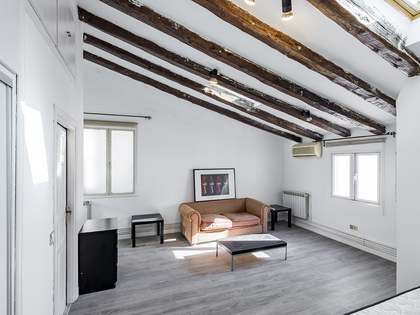 It is located in a building in the Recoletos neighbourhood, in the Salamanca district, near Calle Goya and the Golden Mile, where you can find the most exclusive clothing stores, restaurants and entertainment venues. The property is distributed in such a way that, when entering, there is a long corridor with the 3 bedrooms on the right: the first one is the most spacious and has a private bathroom with a shower, the second is medium and has 2 single beds, finally the smallest bedroom has a single bed. These last 2 share a bathroom. To the left of the corridor there is a fully equipped kitchen with access to an interior patio for private use. At the end of the apartment there is a large living-dining room. It offers air conditioning units in all rooms and individual gas heating. An excellent home in a fantastic location, in the coveted neighbourhood of Recoletos. It is located in the Recoletos neighbourhood, in the Salamanca district, near Calle de Goya and the Golden Mile, where you can find the most exclusive clothing stores, restaurants and entertainment venues. 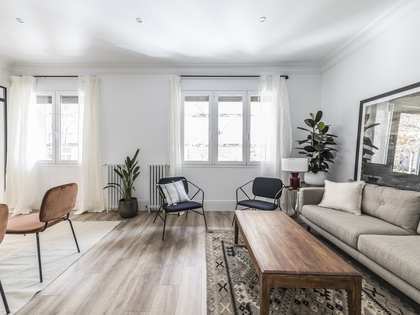 The area enjoys an exceptional location due to its proximity to the Retiro Park, the museums and the areas of cultural interest in the centre of Madrid. 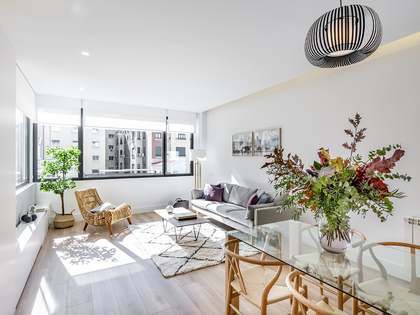 The area is well connected to the rest of the city by the Velázquez and Serrano metro stops, as well as the different bus lines that stop on the streets of Goya, Serrano and Paseo de la Castellana.